You’ve got to love Japan sometimes. Korg are continuing the beautiful marriage of gaming and music – one that began first on the Nintendo DS and has nicely made the jump to iOS. The latest outgrowth of that is Kamata, a synth add-on to the KORG Gadget music studio. 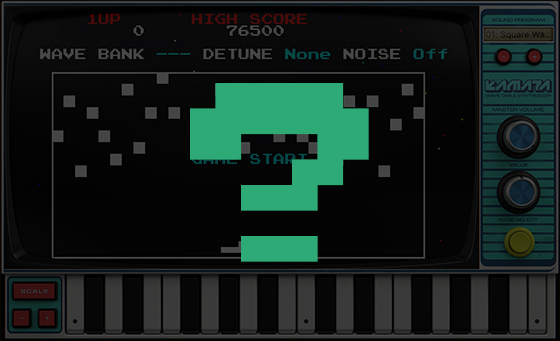 This time, arcade legend Bandai Namco are teaming up with Korg, and long-time Korg collaborator Detune Games. Detune are the folks who did the iMS-20 for iOS and the M01 for DS, led by CEO Nobuyoshi Sano whose work as a composer includes credits on Ridge Racer and Tekken. Here’s a great example of that chip in use (the original, not the app). It’s appropriate that the composer here made a score that recalls cheery turn-of-the-20th-century music – the lineage of these machines can be connected directly to the automatons that defined the first (mechanical) machine music, the pianola and orchestrion. And the wavetables, while digital, are so particular as to sound like a unique class of instrument – nothing like other analog or digital synthesizers or acoustic instruments, but something with a defined character all its own. This is an instrument that challenges you to work within restrictions, to really compose for a particular instrument. And as a synth, the C30 engine is worth some time investment. You can record changes to the wavetable, you can detune, and you can edit every last parameter. That is, this is anything but a preset machine. 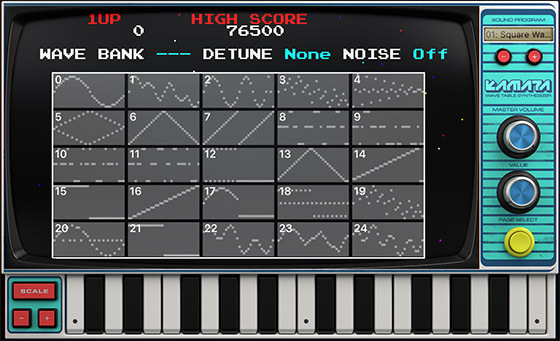 Oh, but just in case you need a break or just weren’t deep enough into this instrument, the Detune collab also added game play to this. It’s funny, because I’ve heard a lot of people talk about young producers today opting for music production over gaming. Well… why choose? What’s amazing about the Gadget community in general is, people are making incredible music – stuff that’s really impossible to classify by genre, a lot of it. So while this story is a story about a tool, it’s also really a story about a music scene that’s grown around it. For added incentive, Korg and Bandai Namco Studios and Detune are hosting a contest. And this, of course, is what mobile music making is all about – these are musical instruments that are connected, so sharing becomes a must. It also occurs to me that if everyone has access to these tools, simply stringing together presets isn’t enough: the connected nature of these means there’s an incentive to one-up competitors and be as original (or even weird) as possible. That’s probably the opposite of the narrative I’ve heard about apps, which is the idea that the Internet-connected musician is just aping existing music with presets. This suggests a bizarre alternate universe where people can invent their own idiosyncratic genre, and spread it in instantly. Listening to the examples, they create strange and enchanting hybrids of cinematic stylings and pop with nostalgic game-style chip music. Also, by way of challenge, Korg made one of the categories remixing the demo song – which is already yielding some nicely freaky results. On sale through 10 September, then back to regular pricing.